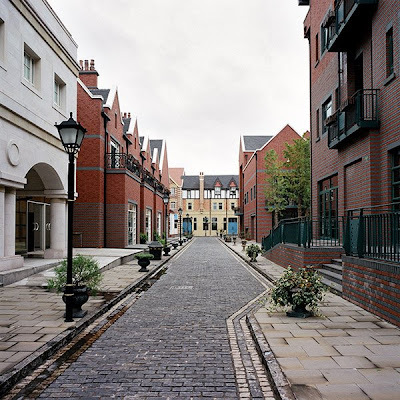 "Thames town is an English style new satellite town built close to Shanghai as part of the local governments ‘One City –Nine Towns’ plan. This plan was hatched out of the population boom being experienced in Shanghai. In the past 15 years the population has increased by 8 million and the landmass it covers has increased from 100sqkm to a staggering 680sqkm. Despite this growth Shanghai is still four times as densely populated as New York. The ‘One City –Nine Towns’ plan seeks to construct nine satellite towns around Shanghai. 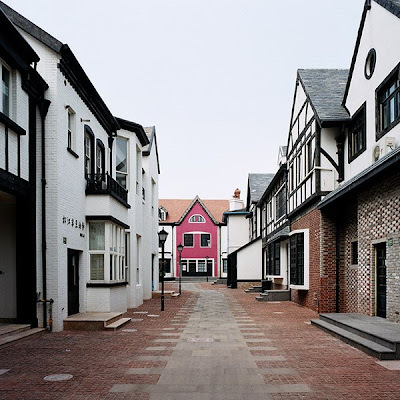 Six of these towns are to be themed on European style cities from the UK, the Netherlands, Germany, Spain, Sweden, and Italy. 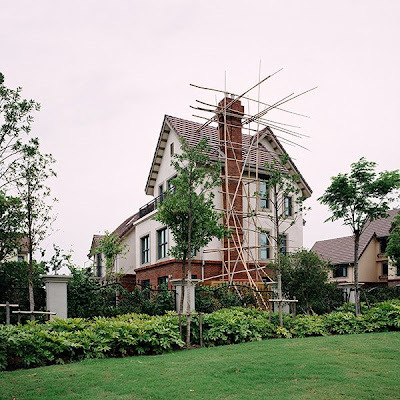 These images document the beginning of the next great revolution within China, a suburban revolution as the new middle class within China seeks to make use of their new found financial freedom." 1000 Words needs your help!